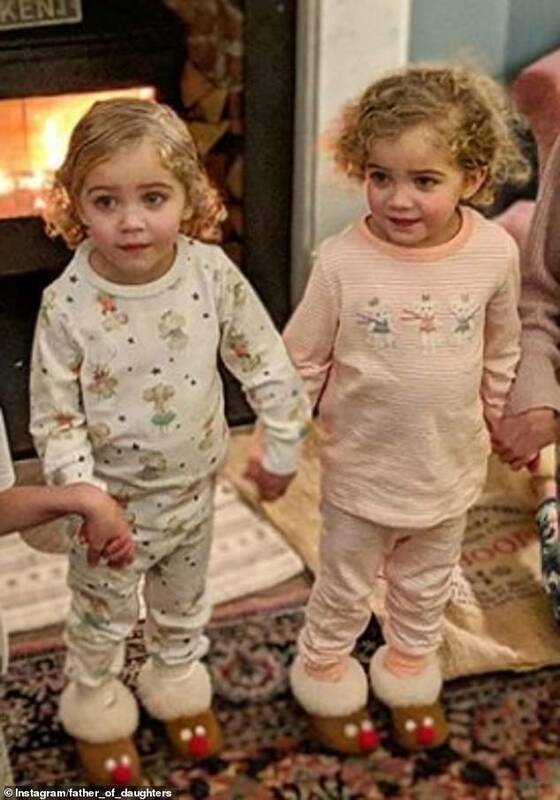 ‘A real life game of Guess Who!’ Dad blogger is blasted for admitting he can’t tell his OWN twin daughters apart – but can YOU spot any differences between them? 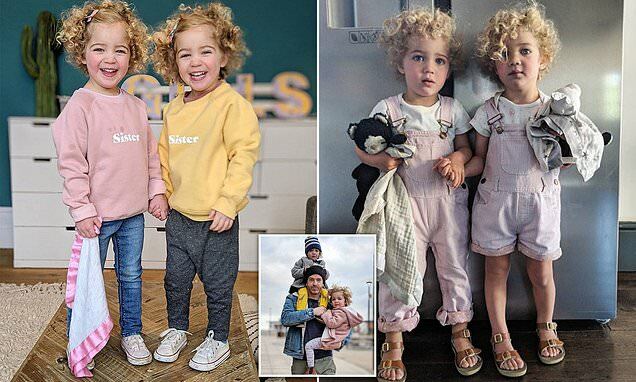 A daddy blogger sparked an online debate after he admitted he struggles to tell his own twin daughters apart. 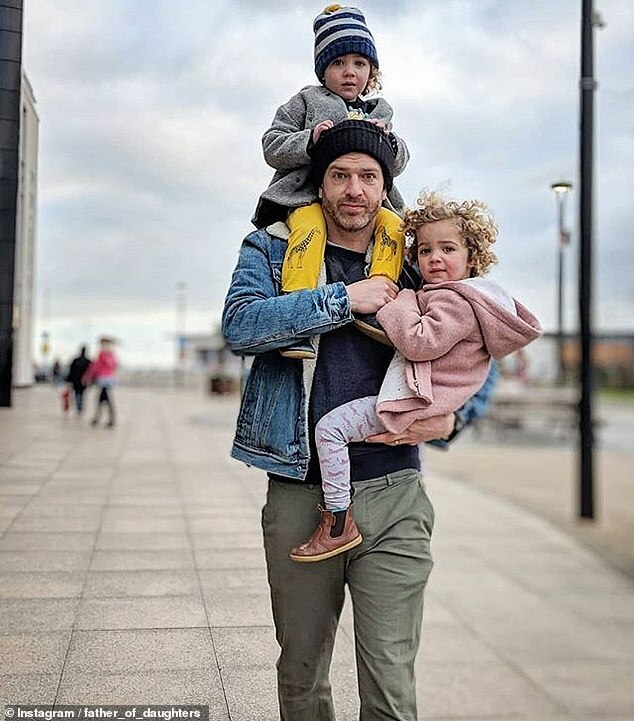 Simon Hooper, 35, from London of Instagram account Father of Daughters, revealed to his 919,000 followers his difficulties distinguishing between three-year-olds Ottie and Delilah. 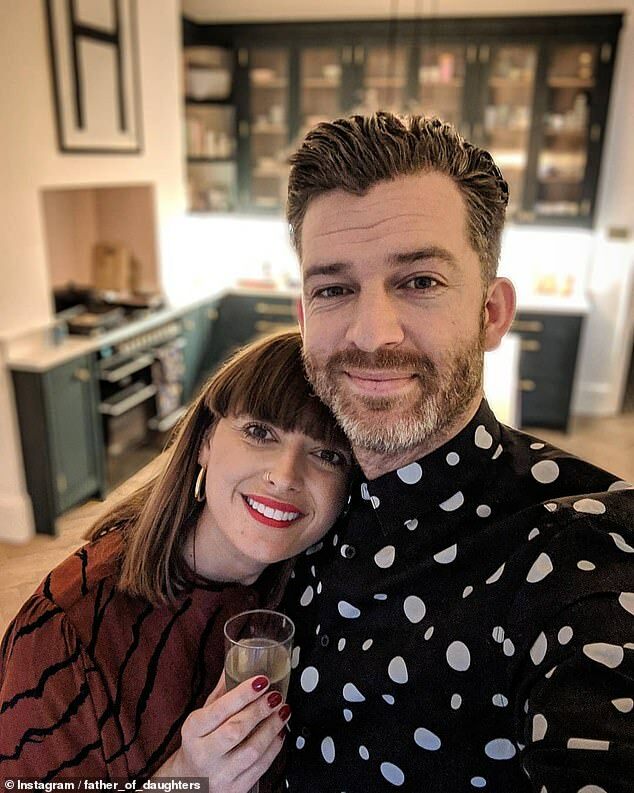 Referring to his wife, Clemmie Hooper, who is behind the wildly popular Mother of Daughters account, Simon continued: ‘Thanks to @mother_of_daughters for dressing them as mirror images of themselves, today I was straight back to square one and spent the next 15 minutes playing a real-life guess who – calling them the wrong names only to receive blank faces and zero responses in return. The light-hearted post was shared last week and later prompted a discussion on Mumsnet. 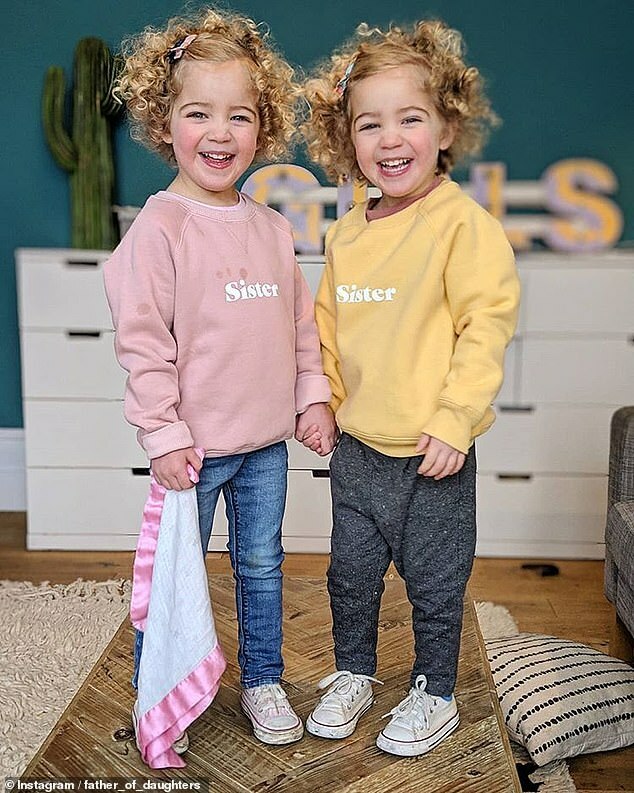 Kicking off the thread, one user questioned how the father, who has three other daughters, could not tell his own twins apart. 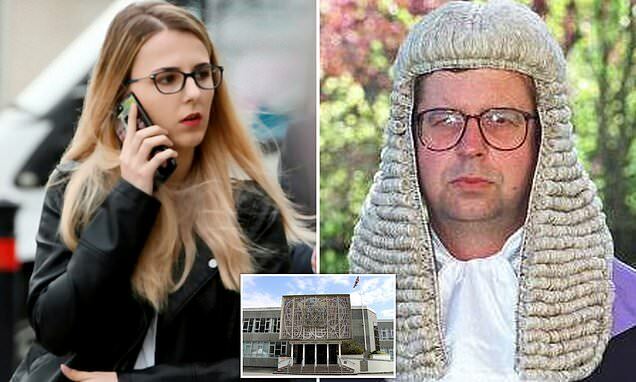 She wrote: ‘I get that they’re identical (and they really are visibly so) but he’s their dad! 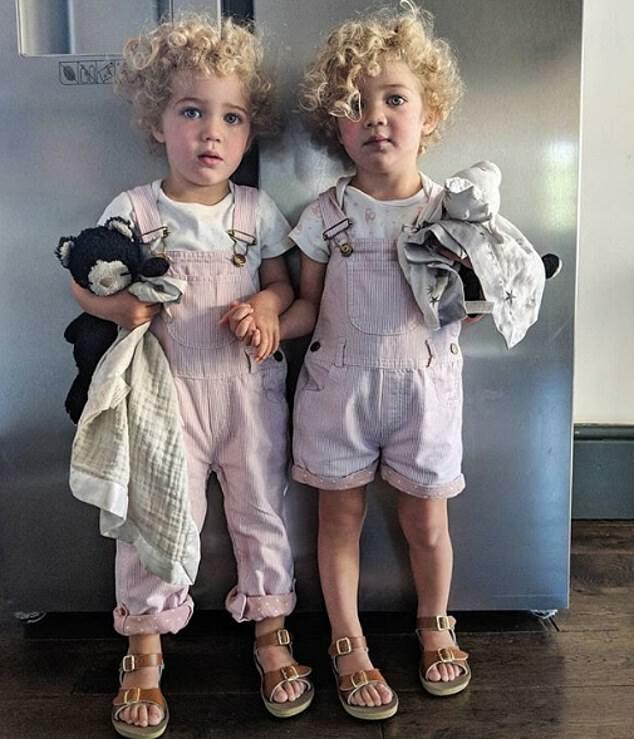 ‘I used to babysit identical twin girls when they were between the ages of 14 months and 2, and within a month I could reliably tell them apart. 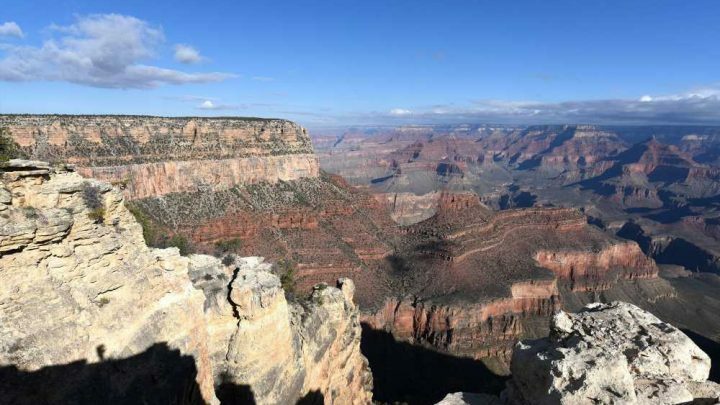 ‘It was partly down to incredibly subtle variations in their appearance (e.g. the way their hair fell), but mostly it was their personalities. They were very obviously two different people. 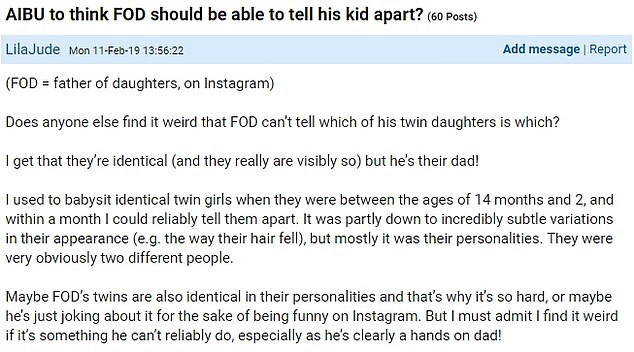 ‘Maybe FOD’s twins are also identical in their personalities and that’s why it’s so hard, or maybe he’s just joking about it for the sake of being funny on Instagram. 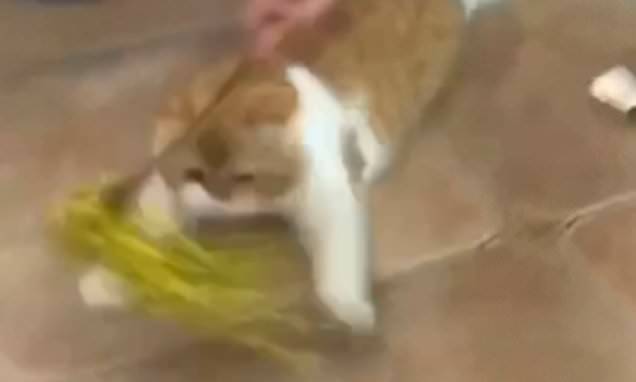 However others were quick to defend Simon. 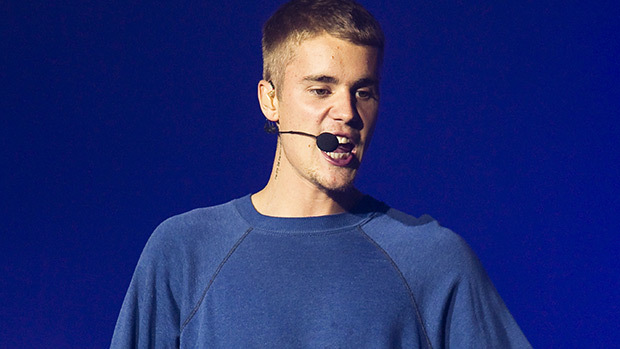 One wrote: ‘We have 3 dear children – all different ages, but incredibly alike – my dear husband struggles with baby pictures and has to check with me who is who. To be fair, he will say ‘is this dear child 1?’ and usually he is right, but not always!